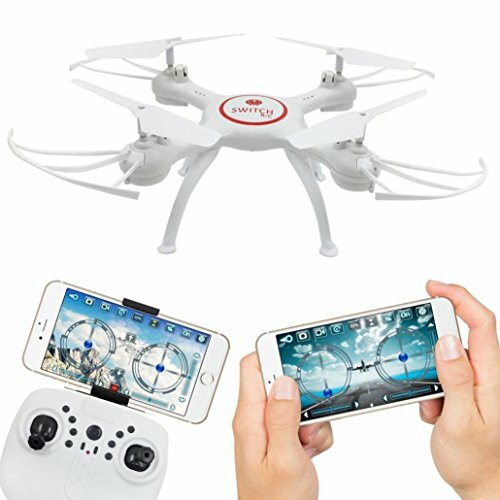 ❀Enjoy high-altitude aerial photography fun with our brand new and remote control Aerial photography Mini Aircraft. With 360 degrees omnibearing 3D rolling special function, this quadcopter can ascend, land, forward, backward, turn left and right, as well as side fly around. Plus, our mini aircraft features a HD camera combining with FPV real-time aerial photo transmission function. What's more, it is amazingly light-weighted and even beginners can easily control it. Don't hesitate to take it home!